Program: Toy Play - I Love ABA! From time to time I will do a post about a specific ABA program. This post is about teaching the skill of playing with toys in a functional manner. Toy Play is a program I typically write for children with minimal to no play and/or social skills, children who have few leisure activities/cannot keep themselves engaged, or children who are consistently inappropriate with toys (chew on the toy, throw the toy, etc). The goal of Toy Play is to teach the child to use different types of play skills to interact with objects as designed, and eventually to allow other kids to play with them. Ignores toys or objects in their environment to engage with non-toy materials such as carpet lint, pebbles or rocks, kitchen timers, etc. Many people think that "play is play" and that there is nothing about play that a child needs to learn.....Just hand them a toy and step back. However, children typically go through stages in the development of play skills that range from playing with simple toys alone, to playing with more complex toys alone, to playing games with other children. Children with ASD may experience some, or very few of these play stages, as motor and imitation skills are a big part of learning to play. When first beginning to teach Toy Play, observe how long the child will interact with a toy without your interference. Give them a simple toy, and step back and observe. Once they disengage from the toy (push it away, drop it, walk away, etc. ), determine how long they played with it. If it was 15 seconds, start your teaching at 10 seconds. Always start a little bit below where the child currently is to encourage success. Initially all you are doing is requiring the child to interact with the toy for a set amount of time. Interacting with the toy can be as simple as looking at and touching the toy. If the child attempts to get up, push the toy away, throw the toy, etc., you would redirect them back to the toy. Praise and reinforce appropriate interaction with the toy, and keep the play fun and animated. Keep the toys simple at first. A good choice would be a Mr Potato Head toy, where it is clear what body parts go where. A poor choice would be a pile of Lego's where there isn't a clear "way" to play with the item, and the child would likely be inappropriate with the pieces. 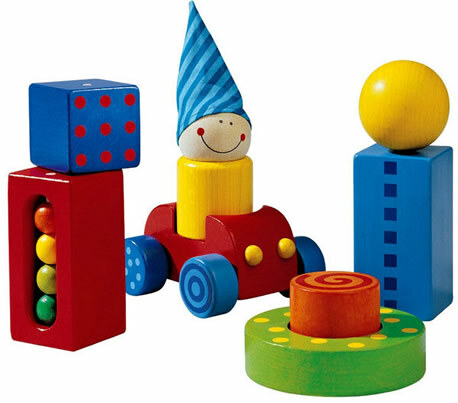 Concrete is better than abstract, at least in the beginning of teaching toy play. Over time, increase the time intervals tor toy interaction. Next, expand into those abstract or "gray areas": play complexity, imaginative play, imitation during play, art or musical play, etc. 3) imaginative play- playing alone or with others in a creative, free flow game of pretend, such as making an imaginary cake. Toy Play is a fun program to teach, and it is also important to pave the way for social interaction skills. A child who has the been taught the skill of toy play can easily learn to interact with a group of peers, as play IS how children make new friends. Children who do not know how to be appropriate with toys are at a disadvantage when placed in a group of peers. Especially for young children, play skills are a form of communication. Children walk up to one another and invite each other to join games, to play with a toy together, or to make up a game. Children who lack toy play skills wont know what to do in social situations with peers, which over time can delay social skill growth. Many times in classrooms the children are expected to attend to a toy or object while the teacher prepares for a transition. Children without the ability to play with toys are at a distinct disadvantage during transitions, because they tend to wander around the room engaging in problem behavior, or repetitive behaviors.